The AFA recently ran a media campaign promoting their Accreditation System. The headline read that your shortlist for a new agency was now 115 agencies – the ones that had registered with the AFA for the accreditation process. In this edition of P3-news, we look at the process of selecting a new agency. Of course there are well established procurement / tender processes, but to get the best result lets look at the best practice. Advertising agency selection – it’s like a corporate blind dating game and the results might be as uncertain as when you arrived at the restaurant for your first dinner date with your best friend’s, neighbour’s cousin. Just as finding an ideal mate can be fraught with difficulty, angst, effort and even expense, the process of matching companies wanting to advertise or engage creative, media or direct marketing agencies or PR consultants with those agencies seeking out new corporate opportunities, can be time consuming and costly with no guarantee of a successful long term relationship. However, despite spending millions of dollars each year on advertising, marketing and public relations, many Australian companies might only really consider a handful of agencies when selecting a new provider, simply because that is all they have experienced. It’s like choosing a partner and then their replacement from your same small circle of friends instead of making the effort to really get out and find the best partner for you. P3 provides a simple, comprehensive, up to date, confidential and easy to access service for advertisers to select the right creative or strategic communication provider. The P3 Online Database also exists for those service providers to register for consideration for new business opportunities, free of charge. By managing the P3 Online Database, P3 increases the likelihood of a successful agency ‘first date’ by matching ‘like need’ with ‘like want’. The explosion of internet based dating services is testament to the effectiveness of such preliminary matchmaking efforts in driving a better dating experience. In addition to the creation and management of possibly Australia’s most comprehensive database of creative, media, direct marketing, PR and design agencies, P3 leverages their extensive knowledge of the marketing and advertising industry to provide benchmarking, training and auditing services that assist marketing professionals to make more informed decisions about their investment. It helps marketing professionals think about who they would like to date and for what reason. Agencies are comfortable with using the P3 Online Database because P3 is not paid by any agency and so they are truly independent. P3 will not recommend certain suppliers and receives no remuneration from suppliers. They are a fee-for-service provider to the companies they service. Agencies, consultants and providers are guaranteed of at least being invited to the dance when a company is looking to source a provider and they can be confident in the independence of the process rather than suffering at the hands of a competitor with deeper pockets but no discernible skills or experience advantage. Advertisers are comfortable with this process because they receive a list of potential agencies that the database identifies as exactly meeting their needs. They know who will be coming to the dance and can do their research accordingly. P3 helps advertisers define what their needs are and then takes care of some preliminary matchmaking making available a pool of candidates with skills that match their needs. Time and money is saved as search and selection time is minimised, while the actual decision making process remains in their hands. For both sides, value is maximized. The outcome, whether it be advertising, creative, media, design or public relations is appropriate in quality to achieve the desired outcome the buyer wants and the provider offers. Waste in terms of time and resources invested in the process is minimized and cost to achieve the desired outcome is managed effectively and efficiently. To find out more on the P3 Online Database contact process@p3.com.au or call Sydney 02 9279 4997 or Melbourne 03 9682 6800. Want to know the 10 most common mistakes made by advertisers, and how to avoid them? Darren Woolley has compiled this list from his years of experience consulting to Australia’s largest and most successful marketing teams. The 45 minute presentation is made in-house to your marketing team, and is aimed to inspire, encourage and enlighten. Email georgia@p3.com.au to discuss a booking. This is an exmaple of how easy it can be to approve your next TV production. 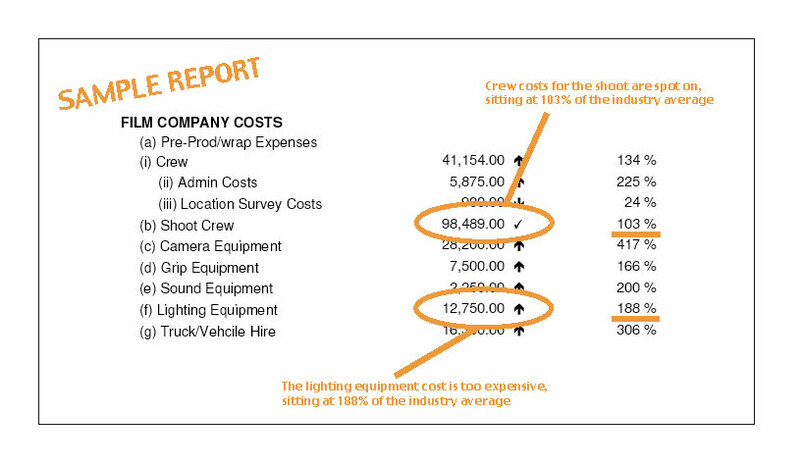 A P3TV report can benchmark your agencies costs against industry averages, and set out a clear case for approval or further negotiation. Call P3 on 02 9279 4997 or 03 9682 6800 to discuss your next quote. Involved in procurement, purchasing & supply? Then look out for the Chartered Institute of Purchasing & Supply Annual Conference, Crown Promenade 17/18 Oct 06. P3 will be at Booth 30 where you can pick up the very latest tool in “Marketing Negotiations for Procurement Professionals” as well as our latest Top 10 in Procurement.